This WSI file will create a Wrapper and install Robin Hood - Legend of Sherwood into that Wrapper. The GOG version is tested and DRM free. So this version is advised to use (not the Steam version). 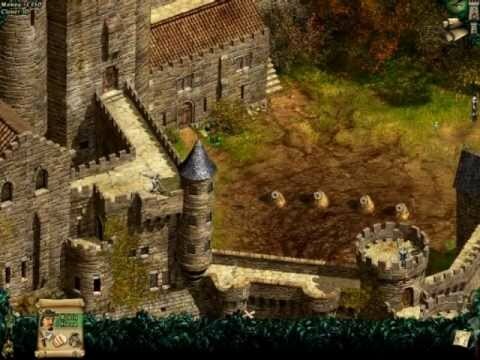 When you don't own the Windows game yet, then use the links here to go to the GOG.com game page where you can purchase this Windows game. Click "Download" to create the game Wrapper. For questions and help check the Help/FAQ tab in the Porting Kit. England, Anno Domini 1190. Richard the Lionhearted is held prisoner while his brother, Prince John Lackland, rules over the peasantry with an iron hand. Through pure force of arms, he has bent the populace under his tyrannical authority. Only one man is brave enough to take up the struggle against the oppressor, supported by a small band of merry men. His name: Robin Hood. Take on the role of the legendary outlaw. Help King Richard return to the throne, fight Prince John and the dastardly Sheriff of Nottingham, and free the people!